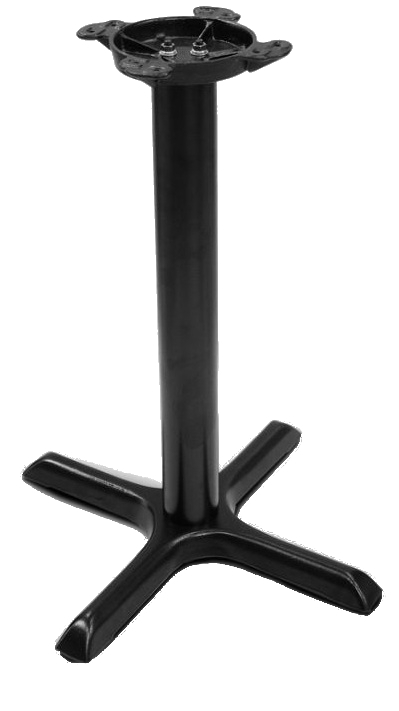 These cast iron X bases are designed for indoor tables round, and square. Many sizes available. Bar height also available. Bases come standard with a 3" column. The 36" wide comes with a 4" column.